Set A Budget | Conference Services, U.Va. If meeting planning is not your full-time profession, you might overlook event details that will affect your budget. Considering the details below will help you to determine your funding requirements and to set an appropriate registration fee to charge attendees. Most UVA space reservations for conference groups come with a rental rate. Some spaces also charge for facilities cleaning, or require security fees for certain events. 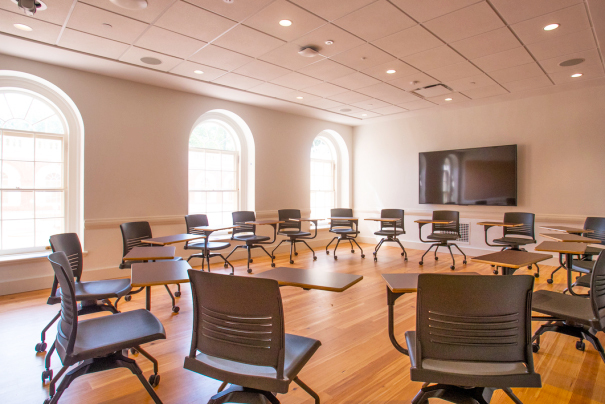 To browse information about facilities at UVA, see our Meeting Spaces and Unique Venues pages. Will your guests pay for their own accommodations? Do you need to provide accommocations for special guests or speakers? During the summer months, on-Grounds student housing can be arranged for guests attending camps and programs at UVA. For events held during the academic year, we can facilitate off-Grounds overnight stays that best meet the needs of your guests. Do you plan to provide snack and beverage breaks or meals to your participants each day of the conference? See our Catering & Dining Services page for additional information about food services we can help coordinate. Do you need to transport special guests and speakers to the conference? Do you need bus or shuttle transportation for your participants during the conference? See our Parking & Transportation page for information about charter and rental services, as well as busing offered through University Transit Service. Would you like to offer paid parking to your guests? Guests parking at the University need to display a parking permit. See our Parking & Transportation page for additional information about permits. Are you planning to handle your event’s registration, or do you need assistance with this service? Please contact us to discuss how you would like to facilitate the registration for your event.